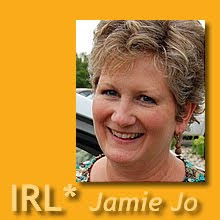 IRL*in real life with Jamie Jo: Was it Something I Said? I'm struggling with this one this year. I offended a relative of mine and she held a grudge for six months. Because I don't see her very often I didn't know until I made another blooper and managed to pry it out of her. I don't know whether she's forgiven me. I know that I'm struggling to figure out how I'm going to relate to her and her husband when I next see them. Wendy, I figured I was not alone, but I am sorry to hear about your situation. More than one of mine are with relatives. There seems to be no statute of limitations on these crimes, so I pray yours gets resolved soon. Sometimes the longer we are away, the worse it gets. Surely someone will pop in and tell us about a dramatic healing in a relationship. That's the story I would have written for myself. I could be wrong, but I do think holding a grudge is a pet sin of introverts. I'm an introvert, and it has been an ongoing battle for me to forgive and let go (when I finally discovered that that is what I was doing). What helped me was when a few people said to me, "I said I was sorry, what else do you want me to do to restore the relationship?" That made me think, 'yeah, what else do they need to do; crawl on their hands and knees all the way to Toronto and back, before I finally forgive them?' It made me feel ashamed and very small. 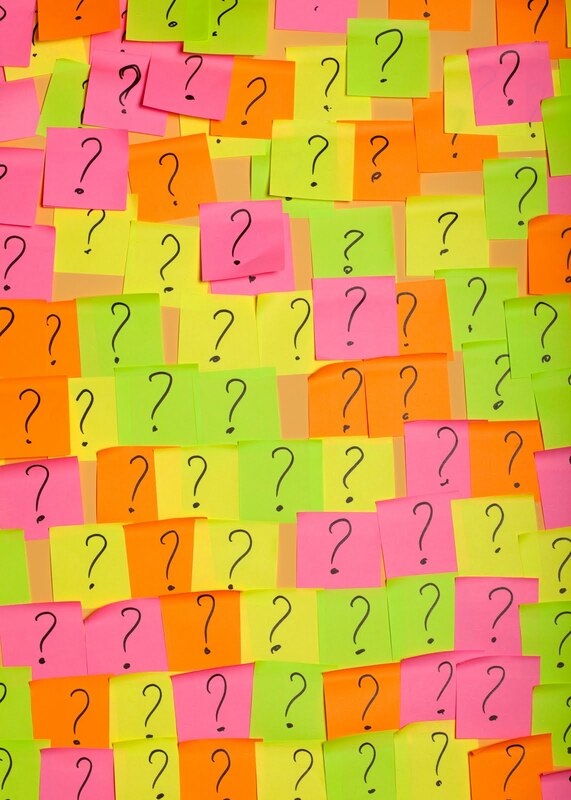 Having a very good memory is a great asset but can also be used to remember grievances. Seeing my own sin, and the amazing grace of God towards me and many other believers towards me has really helped me forgive. Forcing myself to settle differences the Matt. 18 way has also helped. If I don't think it's serious enough to go have a big talk about it with the one who offended me, then it is not serious enough to hold a grudge about it either. On the other hand though, there have been relationships that were broken because I did remember what was said and did try to talk about it, only to have the person brush me off and look at me in disgust that that would actually bother me. Even though I tried from my side to mend fences, the relationship was never the same. I think, extending grace to others and showing the patience of Christ with others can go a very long way to build bridges and mend fences. Probably not what you were looking for, JJ but your post helped me as your posts so often do! I think you might be right, Lidia, I too am an introvert and outward confrontation/communication can be a struggle, which would mean that holding grudges might be more a "pet-sin". ...not to talk about it being more natural. That said, I wonder if grudges are just a human problem. Certainly I know lots of extroverts that do!! :) Un-forgiveness is certainly a common thing... and often, I find, for some of the "smallest" of things. i.e. what we have said. So, I guess the way I look at it is that I have to do only that which I am able/capable to do--- to keep good emotional boundaries. What can I do in this situation,really? I certainly can't make someone forgive me or feel soft to me. It makes me think of the verse, "as much as depends on you, be at peace with all men." With my hard relationships, I come back to those verses time and time again. The question I have to ask God is, "Am I ...as much as it depends on me... doing all I can to make this right?". After that, I have to let it go. I need to be ready and willing to offer forgiveness and mercy and to also offer my repentance, (even for just my 2% of the problem). Beyond that, the ball is in their court. The key, then, is when they don't receive the repentance and don't let it go... then all I can do is to remain soft and full of His love for them. Like Lidia said, extending grace and showing Christ's love on my side is all I can REALLY do. So, I must do that! And, then to pray like a crazy woman that He would mend the fences. He can and He does... we have all seen this! I'm dealing with something like this too, where the unforgiveness of my offenses have become something much bigger. I've apologized, forgave, tried to mend fences, but the person just hangs onto their grudges, and it has gotten to the point where my family and her family just do not talk anymore. Even sadder still is that it's a family member. During this whole scenario, I've also been the recipient of verbal abuse and my character (and that of my husband's) has been called into question. The fact that this has gone this far, makes it much harder to just "let it go." It is somewhat easier to not be on speaking terms with the person who chooses not to forgive, than to keep trying to mend fences with someone who wants a fight. They have that choice, but I'm not going to force peace if they are not willing. But, it is still very, very hard, and I pray about it all the time. On the contrary, Lidia. Your comment helped a lot, Lidia. I beat myself up all the time for the sins that come with my temperament, never considering that the non-extroverts struggle with their own set of sins unique to them. Imagining my wounded friends writing your comment really helps. (((Karen))) Love and hugs to you today, a fellow wounded warrior. Maybe you are right. Sometimes it is probably the wise thing to stop beating our heads against a wall and just pray and ask God to mend the rifts that we have tried and failed to repair on our own. When it's a family member, it is so much harder, especially when the rest of the family starts taking sides. Ugh. I'm praying for you today. Stephanie, I almost missed your comment. We must have been typing at the same time. "As much as it depends on you..." What a great reminder. There is only so much we can do on our end of a relationship that by nature is two-sided. Thanks for that. And "to remain soft and full of His love for them...." Yep. That's helpful, too. I'm going to ponder these thoughts a lot in light of my own rifts that need mending. But this is where daily communion with the precious Trinity comes in...how many times do we read God's word, see Jesus' example, or hear the Spirit's whisper and are encouraged, rebuked, taught, or reminded of His will. Plenty of scriptures deal with kind words (and staying silent!) as well as forgiveness. So both sides of the coin are covered. Oh, and then there's that mathematical verse...seventy times seven! One way I have found that wounds are healed, whether I am the offender or the offended, and whether forgiveness is given or accepted...is to pray for that person. I mean really PRAY for them...to be blessed, to be filled with His Spirit, to know how much God loves them, for their family, etc. Something magical happens: the Holy Spirit intervenes, and most often within my heart and how I see that person. Another aspect to be considered (as missionaries) is the language issue. We do and will offend, simply for using the wrong verb form, intonation, or vocabulary choice. But this entirely another blog subject! Thanks Jamie for another hot topic! I agree with Stephanie in that I am called to forgive others (I trust God to do justice for me, it is His job to avenge, not mine). Then I must rest in the fact I have done my part. I have forgiven them for their part and confess my part to God and ask His forgiveness. Then I ask God what I should do. Sometimes He directs me to attempt to reconcile which often includes an apology, sometimes I am to wait, and sometimes I am not to reconcile as the person is either dangerous or it is not in God's time to reconcile. All this in done alone with God in prayer, not with the other person present. I have no control if the other person forgives me or not. In English we use the word forgive when what we really want is reconcilation. And reconcilation takes two people. I will try to do my part, but I can only do my part to reconcile. In other words I can try to make my half of the bridge, but if the other person does not build their half there will be no bridge, no relationship. And that is very sad. Often that is very hard to accept, but accept it I must. Again Stephanie said, "in as much as it depends on me..." I can only do so much. If the other person doesn't want to reconcile, and I do, I can pray and ask God to soften their heart. Right now I am praying that God softens my sister's heart. It is hard to wait. Wrong verb form, intonation, or vocabulary.... Yes, Ilona, and for those of us who talk a lot/too much, we run the risk of offending in more ways than we can imagine. I appreciate many of you reminding me to continue praying for the offended one. Denise, I think you hit the nail on the head. What I want is reconciliation, not forgiveness. I can't help believe that living out the gospel message means reconciling, but the reality is that it takes two. If the other is unwilling, then maybe I should let it go. Good words! Thanks for all these insightful comments. I can so so relate to your post and to the comments. I also tend to "talk a lot" :-) So I put my foot in my mouth often, it seems. And it's much easier for me to forgive an offense AGAINST me than to bear it when I've hurt or offended someone else. Especially if they are not quick to forgive. I loved what some of you said about "letting go," That's my favorite watch word for challenging circumstances. I try to remind myself that it would be great if that person forgave me, but even if they think badly of me now, it doesn't change the fact that I'm deeply loved and accepted by God through Jesus Christ. Yes! Olive, you "get it" for sure. Maybe I'll put a note by my bedside that says "Let it go!" This is Karen, I can't seem to log in with my name and URL! Thanks Jamie Jo, for your encouragement and prayers for me! I like what Olive said, "I try to remind myself that it would be great if that person forgave me, but even if they think badly of me now, it doesn't change the fact that I'm deeply loved and accepted by God through Jesus Christ." That is definitely something to hang on to! I'm just encouraged that we can talk about it like this. I come from a (birth) family who doesn't talk about things like this, they sweep it under the rug. It is refreshing to me that you ladies can admit to struggles like these, like the ones I've been having. I've committed to work harder at praying for the person I've offended. I think what you said about going to the person and attempting to find out what was wrong and saying "I'm sorry" is really important. There are a few cases where people have deeply hurt me and done so when I was already weak and hurting and just gone on. I struggle with that hurt. They know it is there... but how to solve it? I could, I suppose, "just forgive" the offense (like perhaps a more extroverted person might easily do), but that does not reconcile the relationship. I could build my half of the bridge, but what would it hang on? It is hard to go to people and say, "I forgive you for this offense and want to reconcile" when they have not acknowledged the offense and appear deeply offended that anything they might have done would have offended you. I struggle with this now... how do I reconcile a relationship with a person who deeply hurt me, but who will not sit down to listen or hear me? Perhaps I can only build my half of a bridge, too... but it seems a harder half to build. In the meantime, I hold forgiveness ready, but forgiveness is given for the asking. It is not handed out for free like samples at the fair. Trust and a deeper relationship only follow accepted forgiveness and a reconciliation. Until then, the relationship is superficial at best, and yes, that does grieve me, too. I often think that without this person willing to sit down and listen, this relationship is stuck at superficial. Believe me, I've tried. Now I wonder if there is a place to take a friend to help... but I don't know. It hurts. I'd love to reconcile, but I can only offer forgiveness. So what you have done is bringing the topic up and apologizing is very important. Wendy, in my family we didn't do any conscious sweeping, but just kind of ignored the elephant in the room until we all forgot it was there, or maybe it went away. Not completely healthy, but it worked for us. We never sat around and analyzed or validated hurt feelings. I'm sure there is a balance out there someplace. Ellie, WOW! Your response just tied it all together for me. Thanks for taking time to present your side of the picture. Through you, I can only imagine how truly barbed my ill-timed, careless remarks may have been to the loved ones I wounded. It's interesting, isn't it, how something so beautiful as diversity of gifts and temperaments can cause such confusion and misunderstanding? Hoping and believing the best in each other is easier in some ways with you ladies I don't have to interact with on a regular basis. I assume you would never knowingly hurt me, but IRL, we slip into attributing bad motives where there were none. According to you, Ellie, maybe friends are not withholding forgiveness to torture me, but they are extending it, waiting for me to ask for it.... This is a new thought. I usually battle through my forgiveness issues in prayer, and most people have no clue they ever needed it! My prayer is for open communication for each of us, even in the knarliest of relationships, for healing, reconciliation, and a deeper understanding so we can avoid similar strife in the future. This thread has certainly helped me! Thanks for participating. Keep the comments coming. There's no time limit on these posts. For me, when there is something between me and another because they have hurt me, the solution comes when I am able to communicate. I need to feel heard in order to rebuild the relationship. I can forgive and function in a superficial relationship, but to rebuild, I need to be heard. I don't need to be heard in order to justify myself or to make the other one suffer, although people may be tempted to think these are motivations. I need to be heard so that I can know you understand me... you know where I am able to be hurt. I honestly believe that if you HEAR that, you will be careful not to hurt me that way again. If you don't listen, if you never know where I can be hurt, you will remain a person who can act clumsily around my wounded areas. Most of the time, I keep forgiveness ready; I just want you to hear me... hear me so I can risk trusting you again. Above all else, do not belittle or laugh at my pain. My wounds may be different than yours so I may hurt where you would not. It's ok. I accept that you may also hurt where I would not. Just hear me. That act alone creates trust. Honestly, JJ, I never thought about a person who would be capable of forgiving without needing to be heard! :) Ha. Shows how we are all different. If you find out the answer, I'd really like to know! I had a situation recently where I offended someone and didn't realize it till her husband starting making cryptic remarks on Facebook. AFter several days, I got a clue and asked about it, and he wouldn't give details, but just said that it was the latest in a string of offenses - HUH?!! How am I supposed to ask forgiveness for stuff that I don't even know I did?!! Leslie, keep reading. I'm still secretly holding out in hopes that someone will enlighten us on how to make things right when we are clueless. I'm sorry you are walking through this currently. Ellie, I wish there were a way to highlight the wisdom in your comments. Maybe I will make my own notes in my journal. "If you don't listen... you will remain a person who can act clumsily around my wounded areas." Listening is vital. It goes both ways. If you hear my heart, maybe you can more easily overlook an unintended offense. Truly I meant no harm. If I hear your heart, I will know what areas to side-step to not stomp on your wounded spots. Further, I will use words and actions to help bring healing, NOT further pain. This is hard! I am praying for a few friends IRL today, for wisdom and discretion to know them better and hopefully figure out where things started going south. I'm also praying for you dear friends, that you will find reconciliation in every broken relationship. We need each other, especially in this line of work. JJ, actually, it is often true that when I am able to be heard and express why something hurt me, that I am also able to listen and hear what you meant behind your words or actions. Once I know that, I can often survive the same thing again from you without pain because I know what you meant, and I also know that if I wince slightly, you understand why and will show compassion. Being heard does go both ways. As far as how to work through a situation, I still maintain that it is easier for the "offender" (although taking offense where none was meant could also be an offense) to take the first steps. Acknowledging that you offended, even without knowing how is important. I had a situation where I offended a dear friend and really had NO clue. She would not answer a question as to what was wrong. But, I love this friend and I was not about to let this go on and destroy our friendship. She would not let me into her apartment complex even though she knew I knew she was there. Finally, I asked someone else to let me in, knocked on her door, and got in. Then I simply sat down and said, "Listen. I love you. You know that. We've been friends for years, and you are someone special to me that I really care about. I know I've done something to offend you badly, but I don't know what it is. I am really sorry for whatever it is and my heart is breaking over this rift in our friendship. I never wanted to hurt you, but I have, and I want to know what I did so I can make it right and hopefully never do it again. It is really important to me because you are so important to me. I am very sorry that I hurt you. Please tell me." It took about fifteen minutes of sitting with her being quiet until she trusted me to tell me. I listened, heard, reaffirmed my sorrow that she was hurt, explained my intent, asked forgiveness, sought what could be done to rectify the problem and promised that I would do that immediately. Then there were some tears, and some time for emotions to recover, and we have remained good friends to this day. But for me that was easy - I cared about her and I was going to fight for this friendship! I don't know how to handle it when I am the one deeply wounded by another's words and actions. It is so much harder to approach someone and say "you hurt me" when I do not know if I will be met with grace, a listening heart, and an apology or with more hurt and a "why were you so offended by that?! I didn't do anything wrong!" She already hurt me once with her words and attitude.... how am I supposed to trust her enough to make the first step? I think that sometimes what looks to one party like unforgiveness can actually be the other party's decision not to trust again. I've had to separate forgiveness from trust in one relationship. That is, I forgive the person for what she has done, but I have learned (enough times over) not to trust her. Since I don't trust her, I am friendly to her in a polite way, but I don't have any reason to want to invest myself in the friendship any longer. I can smile and be pleasant, while truly wishing her well, but I know from experience that the boundaries I've erected in the relationship are the best way to save myself future pain. We heard a sermon on Sunday about forgiveness. It was very interesting because the date was 9/11, significant for Americans and significant for us in Japan too - 6 months since our triple disaster. There's a lot of pain surrounding both those events. The speaker was an American who grew up in Japan. He basically said, we all have "lists" of people who've hurt us, even him. Of people who it was hard to forgive and the pain they've caused harder to forget. He didn't have a quick and easy solution, except to go to Jesus with our pain and ask him for help.